Samokov municipality and Borovets ski resort participated in the tourism exhibition in Bucharest, Romania. Within four days, from 12 to 15 of November in Bucharest was held the 44th edition of the tourism fair TTR Romania. Traditionally in Romania there are two tourism fairs, respectively in autumn in November, focused on winter tourism, and in spring. 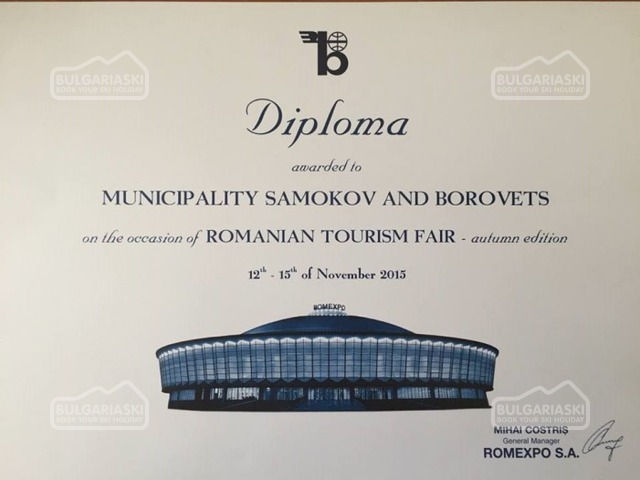 Samokov municipality participates for the second time in the Bucharest fair. Last year's participation was a mutual project with the spa resorts of Dolna Banya and Sapareva Banya. It is the first participation for Borovets in the Romanian exhibition. Bulgaria was presented with a stand of 80 square meters, the stand of the Ministry of Tourism, attended by sixteen Bulgarian exhibitors, including Samokov and Borovets. 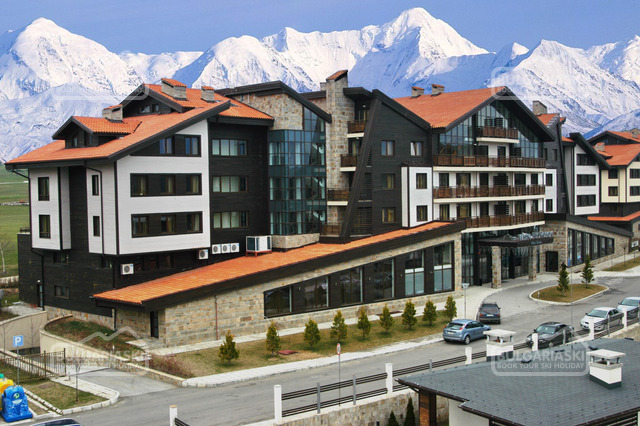 Interest in the stands of Samokov and Borovets was undisputed as potential customers were interested in the offers for the New Year and winter holidays.